For those who have worked in Enterprise environments, documentation is of utmost importance. Documentation can be in the form of a text-based document, or a graphical document (in the form of a diagram). A data dictionary is a centralized repository of information about data such as meaning, relationships to other data, origin, usage, and format. Data dictionaries are commonly used to circulate copies of the database schema to vendors and technology partners, and once a product is released, this may be made available to the end customers depending upon the need (e.g. to allow for customization or study). Database diagrams, are a repository of the relationships between the various database objects. Database object relationships are typically described using a graphical representation of the tables, columns, keys, indexes, relationships, and constraints. For any database, you can create as many database diagrams as you like; each database table can appear on any number of diagrams. Thus, you can create different diagrams to visualize different portions of the database, or to accentuate different aspects of the design. For example, you can create a large diagram showing all tables and columns, and you can create a smaller diagram showing all tables without showing the columns. Database diagrams expose the entire relationship design of a database. This can potentially help someone to reverse engineer the diagrams. Therefore, all diagrams can only be seen by members of the db_owner role. A database is not configured to generate and store database diagrams by default. Therefore, before a database diagram is generated, the first task is to prepare the database to enable database diagrams. Creating a database diagram is now a very easy process, and diagrams can be created in just 4 steps. The diagram layout, by default, may not be in a consumable format. The database diagramming wizard allows use to customize the diagram to our convenience. One of the most commonly required features when working with database diagrams is the need to zoom in or out depending upon the number of tables and relationships involved. Simply right-click on the diagram and choose the zoom factor suitable to your needs. Often, we may need to add custom notes to the diagram. This is achieved easily by adding a text annotation. A text box comes up and allows us to type in text of our choice. 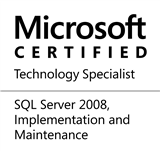 This entry was posted in #SQLServer, Blog, Imported from BeyondRelational and tagged #SQLServer on January 26, 2012 by nakulvachhrajani. Thanks for the tutorial well explained. It would have been even better if some diagrams were posted here as well. I was hoping to use in my assignment.